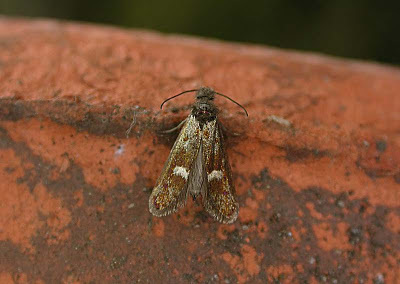 Charlie's moths of Calderdale. 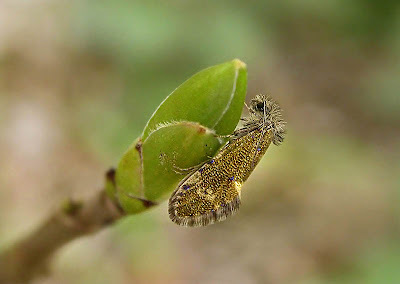 : ERIOCRANIIDAE. 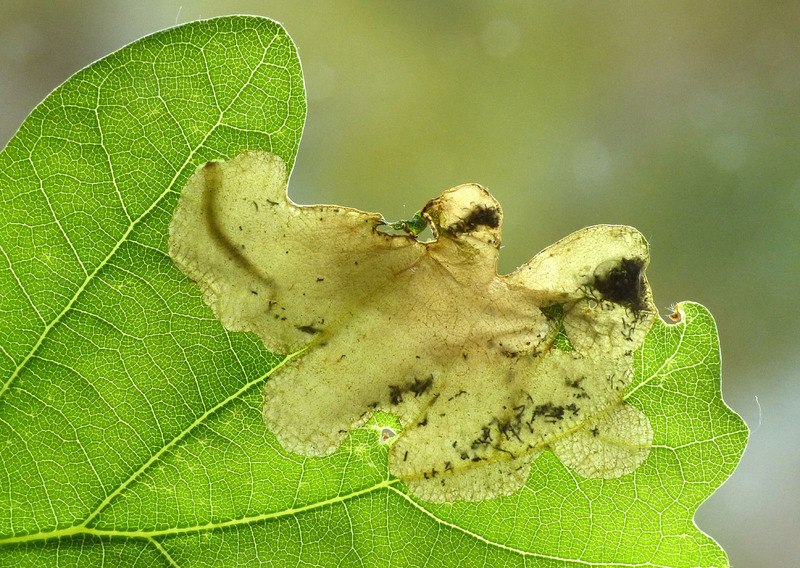 2.001 Common Oak Purple (Dyseriocrania subpurpurella) , larva and mine in oak, Lower Scarr wood, May 20th 2018. A widespread and abundant species almost anywhere there are oaks. 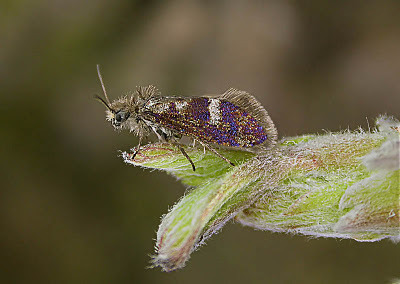 2.001 Common Oak Purple (Dyseriocrania subpurpurella), North Dean wood, Apr.24th 08. A field observation on a Sycamore bud. 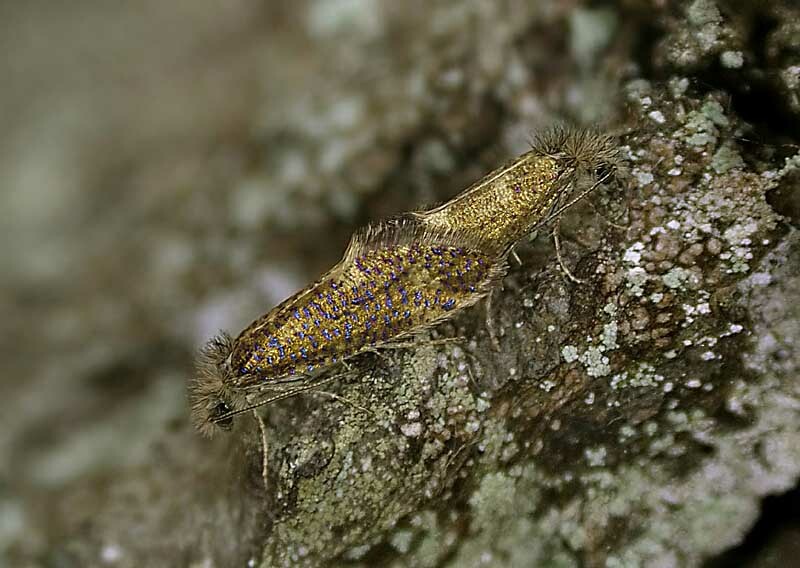 2.001 Common Oak Purple (Dyseriocrania subpurpurella) , a mating pair on oak, North Dean wood, Apr.6th 09. 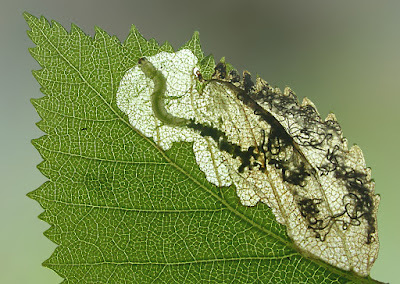 The heavily spotted, less common form of fastuosella is on the left. 2.001 Common Oak Purple (Dyseriocrania subpurpurella) , Apr.14th 2014. Captured by day at New Lane. After nine years with my old Coolpix 4500 I decided it was time for an upgrade so I purchased the Panasonic Lumix FZ200 with the DCR 250 clip-on Raynox lense. It's early days but this shot shows both the fine detail that can be captured and also the very shallow depth of field at the higher end of the zoom - the eye's in focus but not the nose! 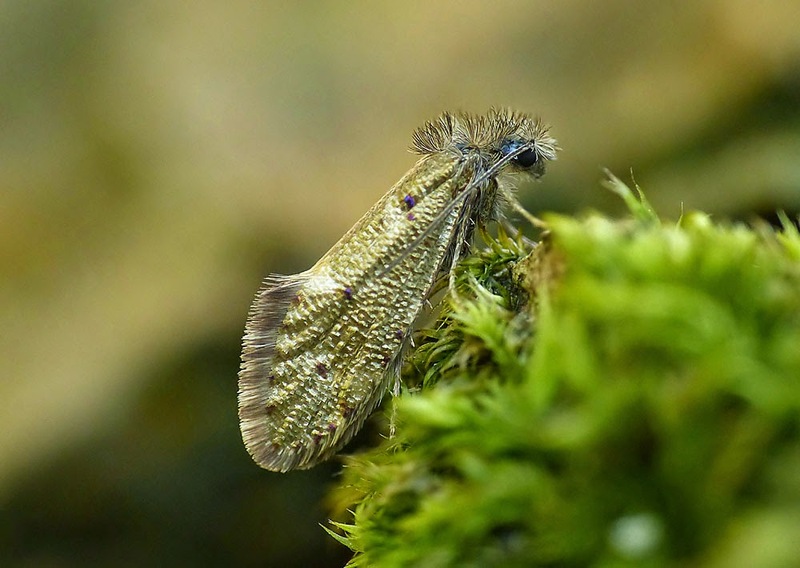 2.001 Common Oak Purple (Dyseriocrania subpurpurella) , Bankhouse wood, Apr.15th 2014. A field observation on oak. 2.003 White-spot Purple (Eriocrania unimaculella), larva and mine in Silver Birch, North Dean wood, May 17th 2010. Note the two distinctive dark brown spots on the rear of the head capsule. 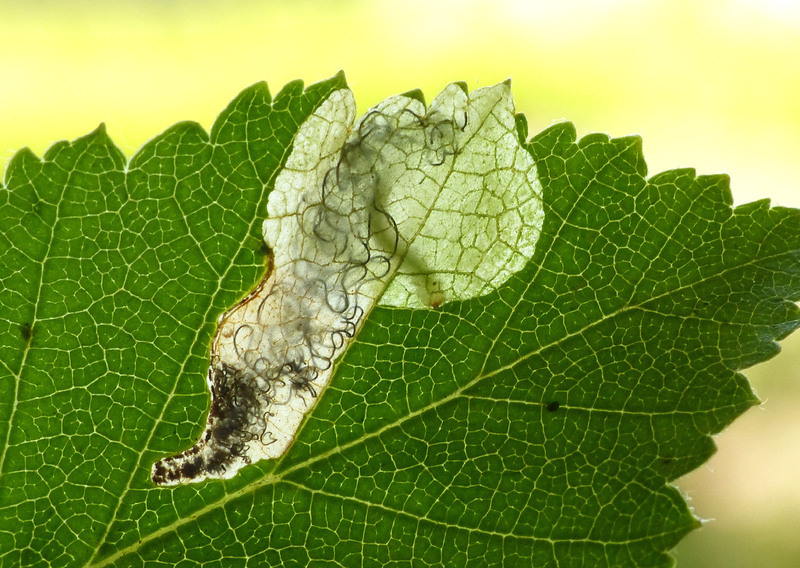 I've found this to be a common leaf miner at this site. 2.003 White-spot Purple (Eriocrania unimaculella), larva, May 16th 2010. 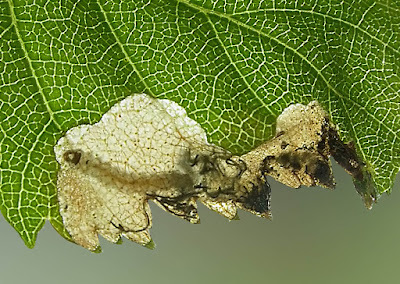 Detail of the diagnostic, dark head capsule projections. 2.003 White-spot Purple (Eriocrania unimaculella), Feb.28th 2011. 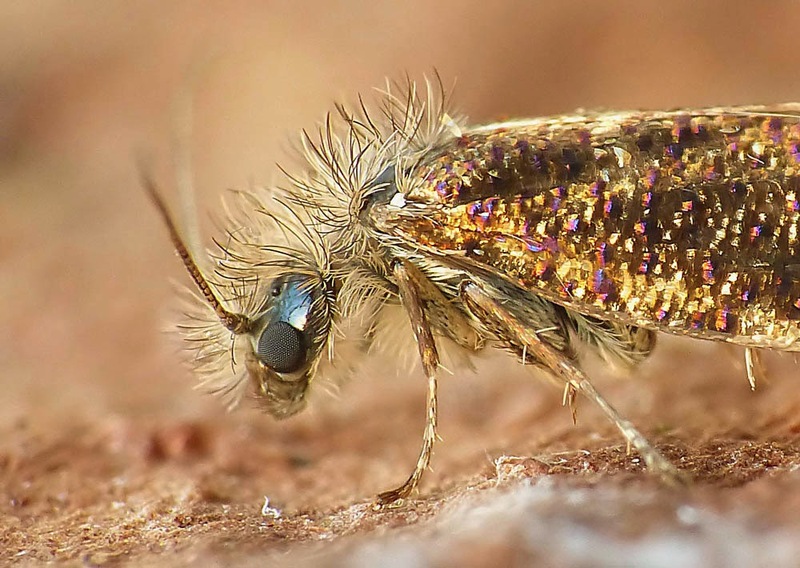 A freshly emerged moth still drying its wings, hence the uncharacteristic posture. 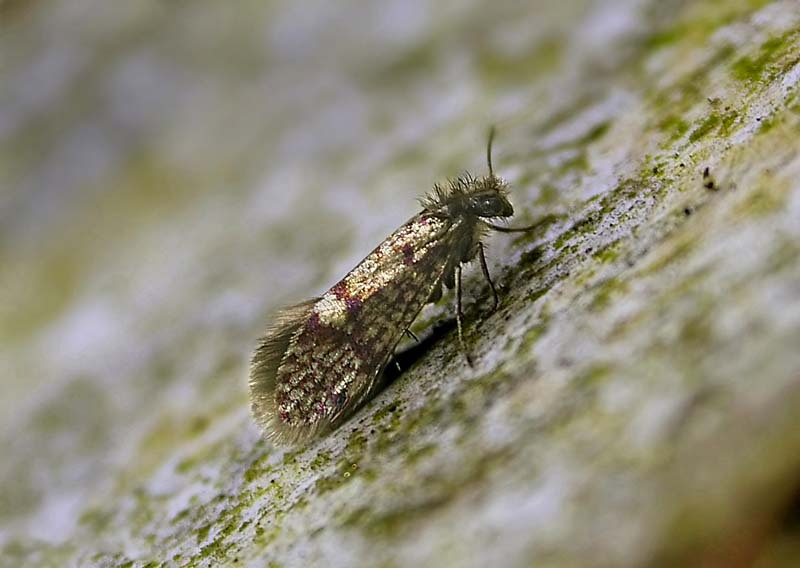 Reared from mines found on Silver Birch the previous May in North Dean wood. 2.003 White-spot Purple (Eriocrania unimaculella), Mar.1st 2011. Reared from mines as above. 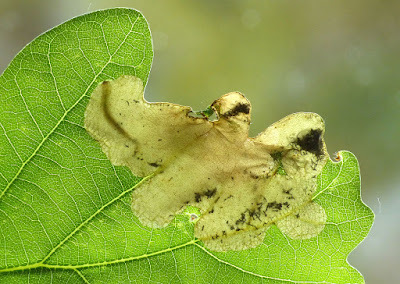 2.004 Mottled Purple (Eriocrania sparrmannella) mine and larva in Downy Birch, Norland Bilberry Slopes, June 28th 2018. Note the initial corridor (to the lower left) is overtaken by the blotch, but remains recognisable in the frass pattern. A much later miner than the more commonly recorded Eriocrania species. 2.005 Small Birch Purple (Eriocrania salopiella), mine and larva in Birch at North Dean wood, May 23rd 2018. 2.005 Small Birch Purple (Eriocrania salopiella), mine, details as above. 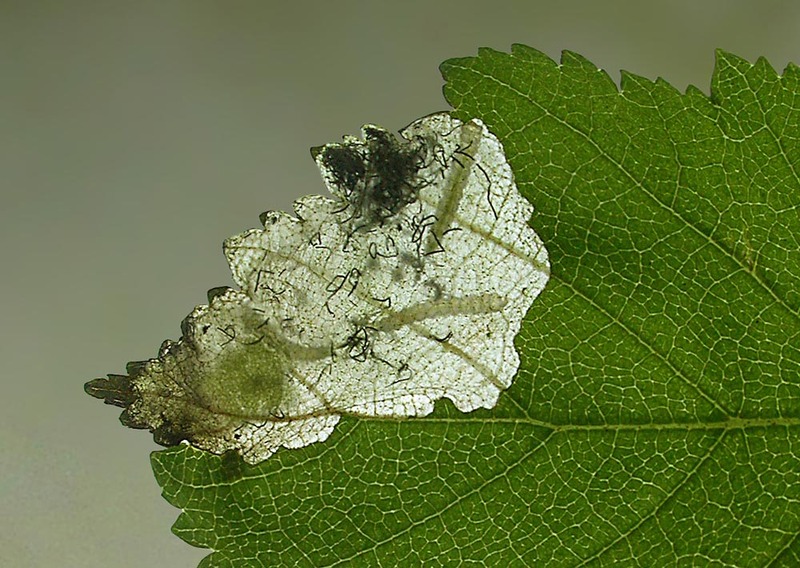 Two days later and the larva has vacated the mine allowing for the species to be identified. 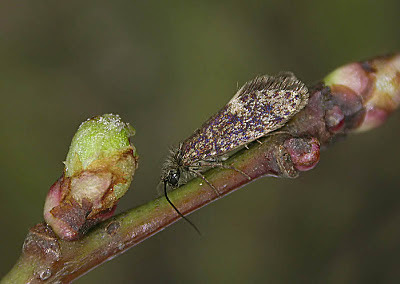 2.006 Washed Purple (Eriocrania cicatricella), mine and larvae in Silver Birch, North Dean wood, May 9th 09. Larvae pale with often more than one to a mine. The mine itself is not completely eaten out giving rise to greenish blotches. A fairly common species at this site. 2.006 Washed Purple (Eriocrania cicatricella), Feb.27th 09. 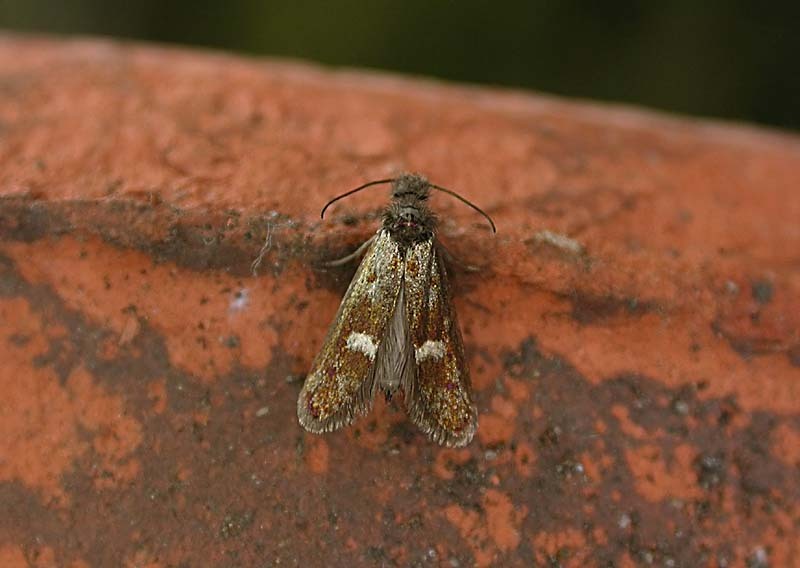 Reared from mines on Silver Birch found in North Dean wood the previous May. 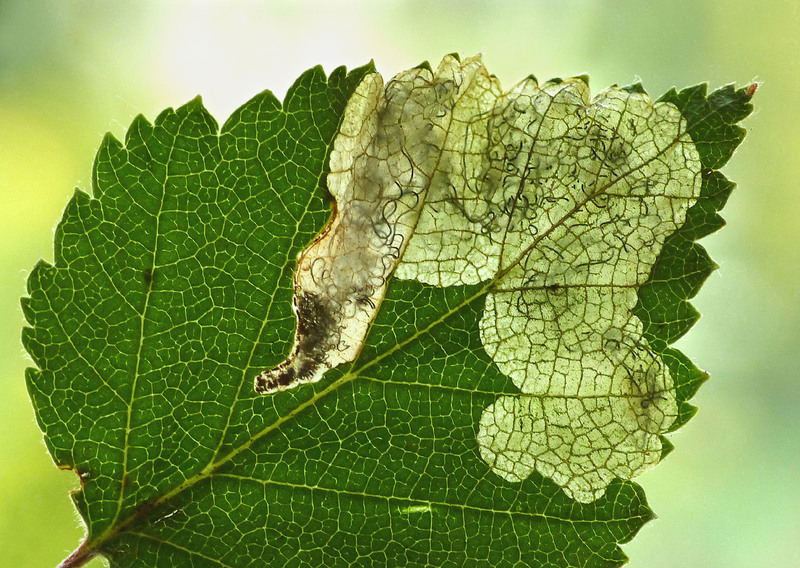 2.008 Large Birch Purple (Eriocrania sangii), mine and larva in Silver Birch, North Dean wood, May 4th 09. 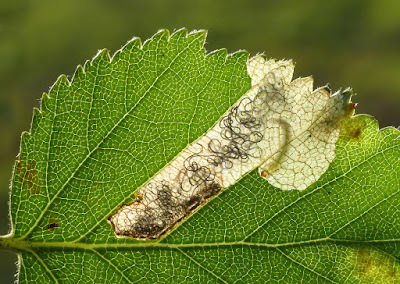 2.008 Large Birch Purple (Eriocrania sangii), larva in Silver Birch, North Dean wood, May 4th 09. The opened mine reveals the diagnostic grey larva as well as the "spaghetti" frass typical of Eriocrania species. 2.007 Early Purple (Eriocrania semipurpurella), larva and mine in Silver Birch, North Dean wood, May 5th 09. 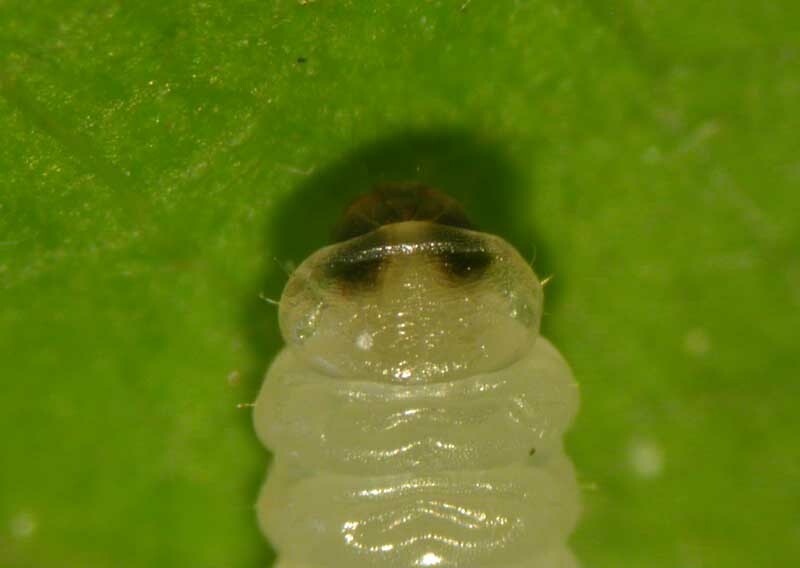 This mid-instar larva will lose the dark sclerotised skin on the head capsule on reaching maturity. 2.007 Early Purple (Eriocrania semipurpurella), Feb.27th 2011. A newly emerged adult. 2.007 Early Purple (Eriocrania semipurpurella), Mar.2nd 2011. Reared from mines found last spring in North Dean woods. 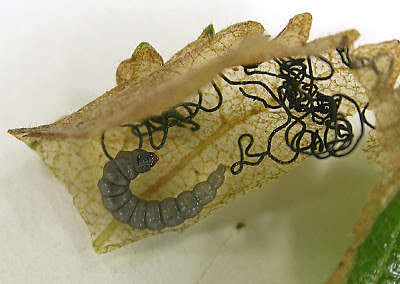 The larvae vacated the mines into plant pots containing potting compost and were left outside until the following spring, by which time the pupae contained fully formed adults. 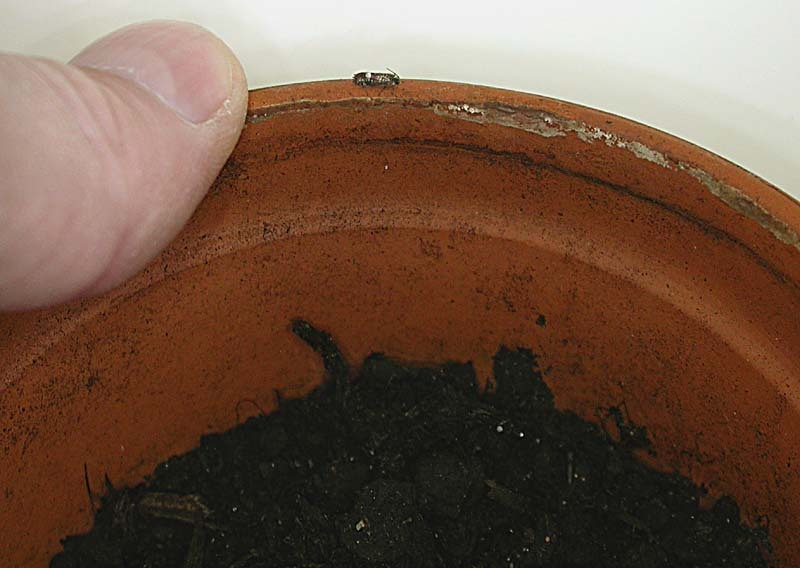 The pots were then brought indoors in late February when the adults began to emerge after just 5 days. 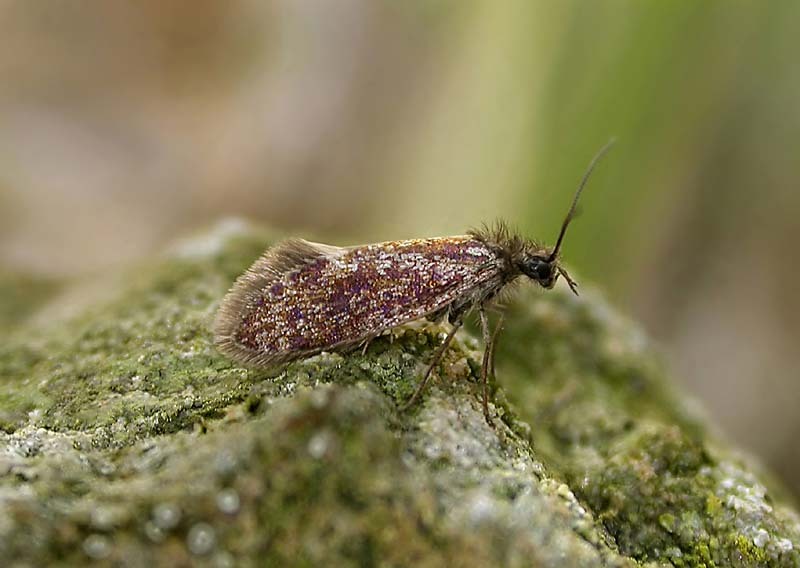 2.007 Early Purple (Eriocrania semipurpurella), Mar.5th 09. One of the commonest and widespread of the birch feeding Eriocrania occasionally seen resting on their foodplant on cool, spring days. 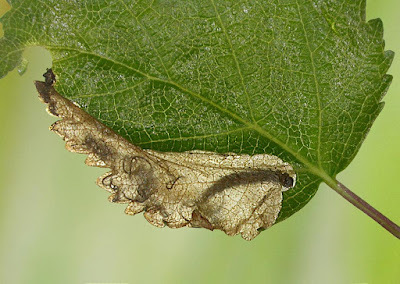 The mines on birch are generally easy to find and often produce several species - the adults though are more elusive.